THERE IS NO “credible evidence” that former Garda Commissioner Nóirín O’Sullivan “played any hand act or part” in any campaign against whistleblower Sergeant Maurice McCabe, the Disclosures Tribunal has found. O’Sullivan, Callinan’s successor, does not appear to have been involved in this campaign, Judge Peter Charleton has stated. “All of the evidence is to the contrary in fact. When Commissioner Nóirín O’Sullivan came into office, practically the first thing she did was to get rid of Superintendent David Taylor, the incumbent press officer. She did this because she neither trusted him nor liked him. “She reached out to Maurice McCabe and attempted to solve the workplace-related issues which surrounded him. These efforts were successful at first, but were undermined by what she felt was the necessity to test where he was coming from in the very serious allegations of corruption that he was making before the O’Higgins Commission. Charleton states that is it is “more than improbable that nothing emerged” during a conversation between O’Sullivan and Callanan in a car journey back to Garda Headquarters after a meeting of the Public Accounts Committee on 23 January 2014. This is the meeting at which Callinan famously said it was “quite disgusting” that two whistleblowers out of a force of 13,000 people were making “extraordinary serious allegations” while there was not “a whisper” from elsewhere in the force of “corruption or malpractice”. The judge said O’Sullivan’s evidence in relation to this was “disappointing to hear”. Charleton said Taylor had “every reason to lie” about O’Sullivan because he was “bitter” about several things. He was bitter about not being promoted, bitter about no longer being the press officer for Garda Headquarters, bitter about no longer traipsing in and out of the Garda Commissioner’s office, bitter about the crimes for which he was being rightly investigated, bitter about being arrested, bitter about having telephones and computers seized from him in the course of a criminal investigation, bitter about having to go to the High Court and recite untruths in an affidavit, bitter about having to decamp from Garda Headquarters to the less power-charged surroundings of Dublin Castle, and determined to get revenge on the person whom he saw was responsible. Charlton also found that Taylor “chose to present a public lie to the people of Ireland” over missing phones that would show evidence of a smear campaign directed by senior gardaí against McCabe. Taylor had claimed that Callinan had sent him text messages that could be used by the press officer to smear McCabe to journalists. He also claimed he would keep O’Sullivan, then-Deputy Commissioner, abreast of developments with the smear campaign. Both of these claims were found by Charleton to be “false”. Taylor, however, would later withdraw the allegation that such evidence existed on the phones to back up his claims, despite him having told McCabe in a private meeting at his home that it was the case. When discussing the approach of O’Sullivan’s counsel at the O’Higgins Commission, which was established to examine claims made by McCabe in relation to the Cavan/Monaghan Division of An Garda Síochána, Charleton notes: “There is no reason to imagine that Colm Smyth SC, or any other members of the legal team representing the Garda Commissioner, were personally or professionally ill-disposed towards Maurice McCabe. 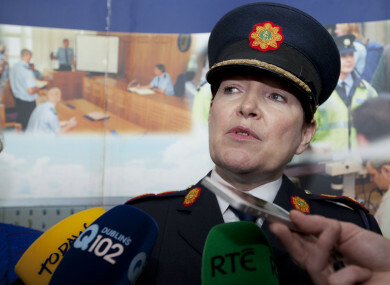 “The essence of any instruction received by the legal team on behalf of the Commissioner and other senior gardaí was that Maurice McCabe was a contented sergeant in charge of Bailieboro up to 2007 and that there was a link between his beginning to complain about police standards and the unfortunate experience of being investigated over the Ms D allegation from December 2006. No one, however, thought of using her allegation as an attack on his creditworthiness. Had that allegation been so used, it would have been a classic example of an unrelated issue being used on specific instructions from a client to suggest that a witness was unworthy of belief due to prior improper conduct. That did not happen. The judge notes that multiple references were made during the 19 days of hearings by the tribunal to sets of notes taken by Chief Superintendent Fergus Healy, as liaison officer for the Garda Commissioner and represented gardaí, by solicitor Annmarie Ryan. Charleton states that these notes “have been scrutinised for any hint of wrongdoing by Commissioner O’Sullivan”. “One fact needs to be made clear. While counsel met with some of their clients on Monday, 11 May 2015 and the following days, and while everything was a terrible rush, they did not meet with Commissioner O’Sullivan until much later on. Insofar as they were getting instructions from her, these arose in consequence of a particular dispute where, as the phrase goes, one word borrowed another. “That row happened on Friday, 15 May 2015, the second day of hearings at the O’Higgins Commission. Insofar as instructions came in these early stages, these arrived through the agency of Chief Superintendent Healy, who alone was authorised to ring Commissioner O’Sullivan directly, and these were conveyed to counsel either directly or through Annmarie Ryan. “Bizarrely, Commissioner O’Sullivan did not meet with her solicitor and did not give her instructions directly at that time. This was a serious mistake which led to much of the difficulty at the commission. “As of that weekend after the row happened, Annmarie Ryan asked for a consultation with her client. This was conveyed through the garda liaison officer, and he has sworn that he asked Commissioner O’Sullivan to make herself available over the weekend. There was no consultation. Question: Ms. Ryan has given evidence that she felt that a consultation, face-to-face, should be had with you in relation to the matter because she felt that there was trouble ahead in relation to what had gone on in the Commission on the Friday evening, the 15th, and, as I understand it, Chief Superintendent Healy relayed that to you? Answer: Well, I’ve read Ms. Ryan’s evidence, and my conversations with Chief Superintendent Healy, and I do appreciate that Chief Superintendent Healy was under a lot of pressure relaying matters to and fro from the Commission, but certainly I was never given the impression that there was such an emphasis on having a meeting, because no matter what I was doing or where I was, I would always make myself available if it had been pressed upon me that there was such a desire on behalf of Ms. Ryan to have a consultation, I certainly would have done that. Charleton continues: “For whatever reason, the Garda Commissioner declined at that stage to meet with her solicitor and counsel. There is no excuse for that. For one thing, it could have cleared up a matter which was allowed to escalate. “At the tribunal, there has been a focus on the consultations with garda clients on Monday, 11 May 2015 and the following days, the O’Higgins Commission having started later that week on Thursday, 14 May 2015. “It is difficult for this tribunal to make sense of the matter, given that out of all represented senior gardaí, only Chief Superintendent Colm Rooney, Superintendent Noel Cunningham and Superintendent Clancy did not give a complete waiver of legal professional privilege. They cannot be in any way blamed for asserting rights given to them by law. Nonetheless, it is clear that a narrative was given to counsel and solicitor that described Maurice McCabe in very complimentary terms as a policeman but as someone who changed, not in terms of his competence but instead of his attitude, at a time which generally coincided with the D investigation and its aftermath. “There was nothing wrong with seeking to explore this matter. Perhaps, from the point of view of strategy, it would have been better to focus on precisely what was being alleged in relation to each of the incidents contained in the commission’s terms of reference. “By focusing on the individual, it may be that facts can get lost but by focusing on the facts, the individual making the allegation becomes less important. That, however, is not a criticism,” the judges writes. Email “'No credible evidence' O'Sullivan 'played any part' in campaign against McCabe”. Feedback on “'No credible evidence' O'Sullivan 'played any part' in campaign against McCabe”.